BAGUIO CITY – The City |General Services office will be bidding out the hauling of the generated residual waste to the existing engineered sanitary landfill (ESL) in Urdaneta City, Pangasinan for the local government to be able to get a better deal with the hauler. 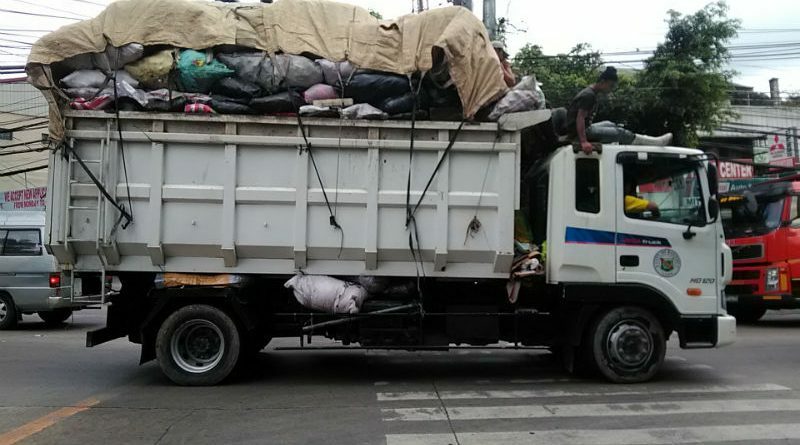 City General Services Office officer-in-charge Eugene Buyucan said that what will be bidded out to interested haulers will be the hauling cost which will be pegged between P500 to P600 per ton considering the significantly reduced distance from the city’s staging area to the designated landfill site. “We are ready to bid out the hauling cost of our residual waste minus the cost for the staging area because the local government was already able to locate its own staging area within a portion of the Baguio Dairy Farm, thus, the cost for the staging area should be deducted from the previous bid price of nine hundred fifty pesos per ton of garbage,” Buyucan stressed. He explained that the local government is doing its best to significantly reduce its expenses on the hauling of garbage to the designated landfill while locating for the suitable site for its proposed integrated solid waste disposal facility, particularly within the portion of the Antamok open pit site. Previously, the hauling cost of the city’s residual waste was P932.50 per ton apart from the P550 per ton tipping fee when the local government was still dumping its residual waste to the sanitary landfill in Capas, Tarlac. However, when the management of the Metro Clark Waste Sanitary Management Services Corporation decided to increase its tipping fee to P650 per ton, Mayor Mauricio G. Domogan negotiated with the management of the Urdaneta sanitary landfill if it could maintain the P550 tipping fee for the city’s residual waste which it agreed to even lower to P500 per ton. Buyucan pointed out the local government was constrained to locate for its own temporary staging area for its generated residual waste after a La Trinidad-based court ordered the closure of the identified staging area of the city’s hauler in Longlong, Puguis after concerned residents in the place petitioned for its closure because of its serious negative effects to the state of the environment and the health of the people living around the facility. He claimed that it was the local government that secured the permit to use a portion of the Baguio Dairy Farm as its temporary staging area for its residual waste for a period of one year and it was also able to secure the required certificate of non-coverage from the Cordillera office of the Environmental Management Bureau (EMB-CAR) for the use of the area as its temporary staging area while awaiting the identification of a permanent solution to the city’s garbage problem by identifying the permanent site for its proposed integrated solid waste management facility composed of a centralized materials recovery facility, anaerobic digester, waste-to-energy plant, Environmental Recycling System machines, hazardous and special waste treatment plans, medical waste treatment plant among others that will eventually put an end to the expensive hauling of waste outside the city. He assured that the terms of reference for the bidding of the hauling of the city’s residual waste outside the city will be published soon for the information of interested haulers wanting to join the bidding process.